This blog documents various aspects of my genealogy research. I'm well versed in German, Hungarian and Chicagoland research. Rare old wines from the former royal cellars of Budapest, some of the villages dating back a century will be on exhibition in a proposed new Hungarian pavilion at A Century of Progress exposition next year, it was announced today. The musty old bottles will not be for sale to fair visitor, the announcement added. They will be merely on display and the labels will indicate the ages of the various types of wines. Tokays will be the main feature of the exhibit, but there will also be Burgundies and clarets and other popular continental wines. Announcement of the this exhibit was made by Victor Unterreimer, prominent merchant of Budapest, who arrived in Chicago a few days ago for negotiations with the world's fair management. He said that the wines are now in the custody of a leading bank in Budapest, which took over some of the effects of the royal household after the revolution of 1918. "Our pavilion, which will be located at the north end of the Midway," added Mr. Unterreimer, "will also contain exhibits of embroideries, jewelry, glassware and other articles showing the arts and crafts of the Magyar republic. "There will also be a collection of historic watches, one of them dating back to 560 A.D. This collection was formerly owned by the Emperor Franz Joseph. It has been shown at many European fairs and expositions and in 1923 it won first prize at the International Watch exhibit in Berlin." Mr. Unterreimer said he is returning to Budapest immediately to enlist the interest of merchants in showing their wares at next year's Chicago fair. He added that he will be back after the first of the year to start work on the pavilion. This will not be the first Hungarian pavilion at the world's fair, as one was erected at the 1933 exposition. It stood immediately south of Old Heidelberg Inn. The leading exhibitor in this pavilion was Nicolas Krausz, proprietor of the famous "Haris Bazar No. 4" in Budapest, which featured historic jewelry from the castles of Hungarian noblemen. Mr. Krausz has moved his exhibit to the Leschin women's wearing apparel shop at 318 South Michigan boulevard, where it is now on display. Vital records for Cook County, and specifically Chicago, are available on microfilm for a significantly reduced cost, compared to requesting the documents through the Cook County Clerk or Vital Records. Below you can find details of what is available and how you can order copies of these records. Copies of these certificates and licenses are only $6.50, compared to the $15-17 per document through Cook County. The Great Chicago Fire of 1871 destroyed a majority of documents and registers, so no vital records exist prior to then. Both birth registers (certificates exist post-1878) and marriage licenses began again in 1871, whereas the death certificates didn't begin again until 1878. 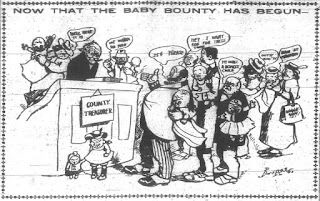 Cook County also didn't require the official registration of births until January 1, 1902, once a bill in the Illinois State Senate passed and became law. Along with the new law to urge Chicago residents to register their children's birth, was allowed "25 cents for every baby born and registered." By the second day the County Clerk had received more than 80 applications. However, the County Clerk neither had the actual certificates to issue nor the money to provide to applicants for the registrations. The County Clerk at that time, Mr. Knopf, explained he would issue certificates but they had not been supplied to him by the secretary of the State Board of Heath. 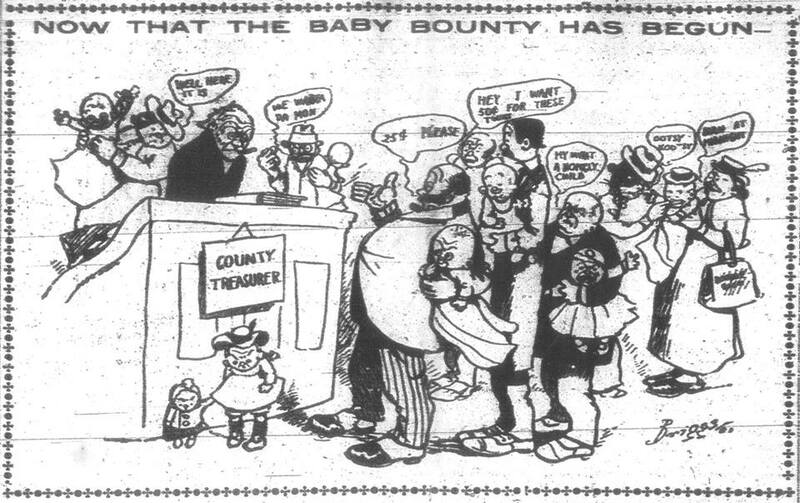 Mr. Knopf furthermore stated that the County Board would need to supply the money. Birth certificates and registers are available on microfilm from 1871-1922 and can be ordered through the link here. Death certificates are available on microfilm from 1878-1945 and can be ordered through the link here. Marriage licenses are available on microfilm through 1871-1920 and can be ordered through the link here. 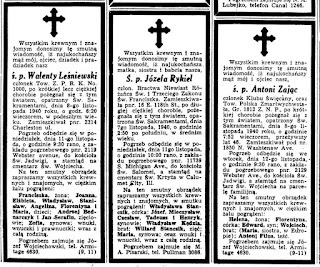 Polish newspaper, Dziennik Związkowy, 1940. The Center for Research Libraries, CRL for short, holds many ethnic newspapers on microfilm for viewing and copies. The CRL is located on the south side of the UC campus, in the Hyde Park neighborhood of Chicago. There is more to the CRL's collection than Polish publications. 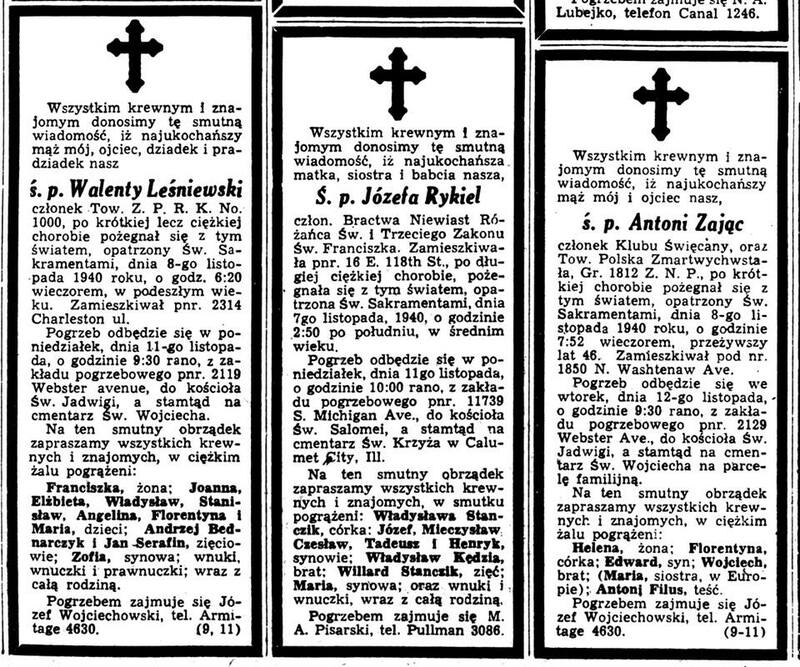 They have ethnic newspapers from across the country: Arabic, Chinese, Croatian, Czech, Danish, German, Greek, Hispanic, Hungarian, Jewish, Norwegian, Russian, Serbian, Slovak, Swedish. Give the catalog a search! Anyone requiring research assistance with the resources within this library can request help through my Genlighten offering here. The Harold Washington Library, in Chicago, Illinois, has a collection of material that could aid in genealogy research. They can be found in the Microfilm Room, on the third floor, where you will find rows of microfilm cabinets containing newspapers, city directories and telephone directories. Over the past six months, I have created inventories of what is currently available on microfilm for these collections and you can find them below. The newspaper collection is by far the largest, taking up most of the space. The inventory I created was focused on newspapers from the Chicago area, although the library has many other newspapers on microfilm from around the world. 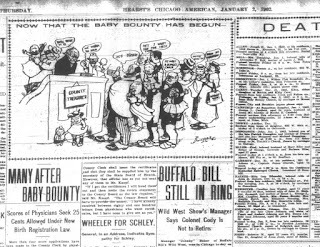 The earliest available newspaper is the Chicago Democrat, beginning on November 26th, 1833. The library's collection of Chicago city directories ranges from 1839 through 1917, in 1923 and finally in 1928-1929. City directories contain the name of an individual, their occupation and address of residence. You may also come across a second address, an address of business, if the individual was a business owner. 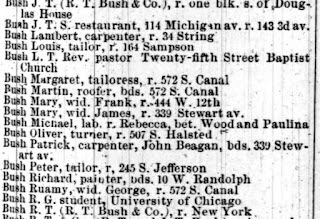 This collection is helpful in placing your ancestor at an exact addresses in Chicago between the censuses, as well as determining if they owned a business. Where city directories end, the telephone directories pick up. The earliest telephone directory for Chicago was published in 1878. They are available for both the city of Chicago and Suburban Chicago up to 1971. 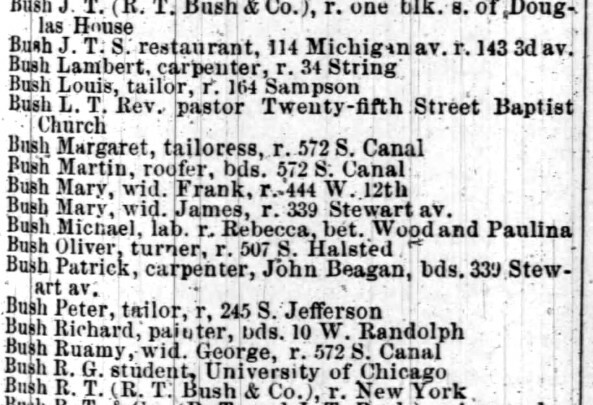 The directories had separately published the Alphabetical (residential) and Classified (business), from 1914-1971. The library has directories from other localities throughout the entire state of Illinois: Algonquin, Alton, Altonwood River, Beardstown, Beecher, Big Rock, Cairo, Canton, Centralia, Champaign, Champaign-Urbana, Clinton County, Collinsville, Crown Point (Indiana), Danville, Decatur, Delavan, Dwight, Edgington, Edwardville, Elburn, Forest, Galina, Gibson City, Gilman, Greenville, Hampshire, Harristown, Harvey, Huntley, Ipava, Joliet, Kankakee, Kendall County, Kinmundy, Lake County, Lasalle, Lewistown, Lilly Lake, Lockport, Loves Park, Lowell, Manteno, McHenry, Momence, Morris, Mt. Vernon, Nashville, Oglesby, Olive Branch, Onarga, Oswego, Ottawa, Peoria, Peru, Petersburg, Plato Center, Quad Cities, Quincy, Rock Island, Rockford, Seneca, Springfield, West Suburban Exchange and Zion. Ever since my father had his stroke last February (2013), I've been increasingly curious about my family's medical history and causes of death. Digging into my paternal grandmother's family revealed some scary and shocking information. My own grandmother, Mary Lou (Adas) Gombash, died from a massive heart attack and from what I understand, her brother had some heart and possibly stroke issues. They are the children of Edward Robert Adas, Sr. I've created a family tree to highlight the causes of death in the Adas family, going back to our immigrant ancestors who came over from Putzig (today Puck, Poland). The text in red is the cause of death on their death certificate. You'll notice that every single one of them died from heart related issues. Know ye that we have Granted unto Samuel Hays six hundred and forty acres of land in Davidson County on the North side of Stones or Clover creek a branch of Stones River, Beginning at the spanish oak on the North bank of the Creek a corner of the land reserved for Stones lick, running thence along the line of the said land, West one hundred and twenty two poles to a large white oak, corner to Col. John Donelson, thence with said Donelson line North three hundred and twenty five poles to a hickory and hackberry, East three hundred and sixty eight poles to three small poplars, South one hundred and sixty nine poles crossing Clover Creek twice to a sugar tree and ash on the north bank thereof, down the same as it meanders to the Beginning. To Hold unto the said Samuel Hays his heirs and assigns forever dated the 17th day of April 1786. *A little background information: This land grant is for the land between what is now know as the area of Donelson and The Hermitage. My ancestor, Samuel Hays, was a neighbor of both men: future-president Andrew Jackson and Col. John Donelson (father-in-law to Andrew Jackson). Samuel Hays' brother, Robert Hays, was also the son-in-law to Col. John Donelson. When Samuel Hays was murdered in February 1793 during an Indian massacre just outside Col. John Donelson's home, the future-president Andrew Jackson adopted the minor children of Samuel Hays. Ancestry.com. 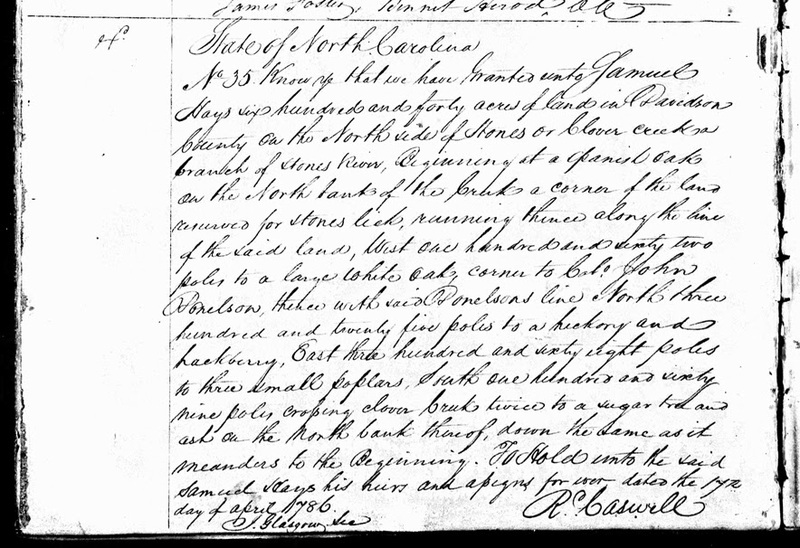 North Carolina and Tennessee, Early Land Records, 1753-1931 [database on-line]. Provo, UT, USA: Ancestry.com Operations, Inc., 2013. 1. Write more. I need to write more. A lot more. I've sorely neglected my several blogs during the year due to medical issues within the family. Things have gotten much better, and I'm regaining the time I'll be able to devote to writing. Apart from my blogs, I'm going to be dedicating a very large majority of my time to writing two books. They're going to be related to Hungarian genealogy, my area of expertise, and completely unrelated to one another. I can't go into much detail about what the books will be about yet, but know that both will be extremely helpful to any research being conducted within the former Hungarian empire. 2. The most important family for me to research this year, is the family of my 3rd-great-grandmother, Martha Ann Miller. She was the wife of James Andrew J. Costilow and died fairly young; 45 years before her husband passed. I was fortunate enough to have found a record that was a crucial breakthrough in Martha's family, which then lead me to her parents and half of her grandparents. I plan to focus a lot of attention on researching these new families. 3. I plan on indexing far more records relating to Győr city and county. It's the sixth largest city in Hungary, and the largest and most important city in northwest Hungary. It's very close to the borders of both Austria and Slovakia and is situated on one of the most important roads in Central Europe. Because of this, it was a large hub for migrants and immigration. There were six Roman Catholic parishes in Győr, comprised of 27 microfilms of data. So indexing marriage records for this city would be extremely beneficial for those researching in this area. 4. There are a handful of military organizations I would like to join. The main ones including the SAR (Sons of the American Revolution), General Society of the War of 1812, Sons of Union Veterans of the Civil War and Sons of Confederate Veterans. My goal is to obtain all the documentation required to apply for membership within these organizations. I could easily piggy-back other applicants with their membership numbers and previous documentation, but I want to do it on my own. 5. My Polish roots are aching to be discovered. I'm more Polish than anything else, yet the majority of the records aren't readily available for research. My lines from Barycz and Osobnica will be extremely difficult, as I'll have to physically write to the church and request information. It's a hit or a miss and I won't make much progress. Hence why I haven't touched at all in all the years I've been researching. Two sides that I do need to focus on, are my Adas and Domagalski families. The Adas' came from the Putzig parish and I've been able to research the family back to the 1750's so far, but the records began in 1593.. so there's LOTS to be discovered! 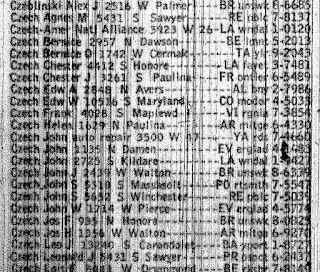 I also need to figure out the collateral line to the Adas family, the Pletzke's. They're from a neighboring parish and there's also lots to be found. 6. I need to research my Stümpges line. Previous researchers had traced the family line back to the 1540's, but I'm not content. 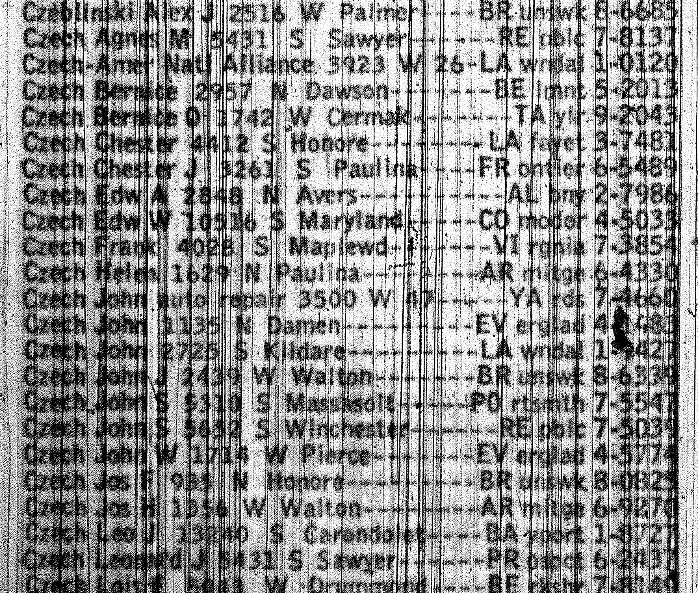 I need to research the family in the church records myself, and verify that the direct Stümpges line is correct. Almost all of the maternal lines are completely blank, also. Those need to be researched and known. There's so much information to be found here! I'm a genealogist with a passion for German and Hungarian research, and with knowledge of Chicagoland resources. I'm also a foodie and gardener.